That’s how much less I spent on my son’s first year expenses than the average U.S. family does. According to the USDA’s Cost of Raising a Child calculator, American parents shell out on average $16,100 for their child’s expenses during the first year, whereas my total was under $6,700. When it comes to saving up for a baby, it’s all about being smart with what you choose to spend on. 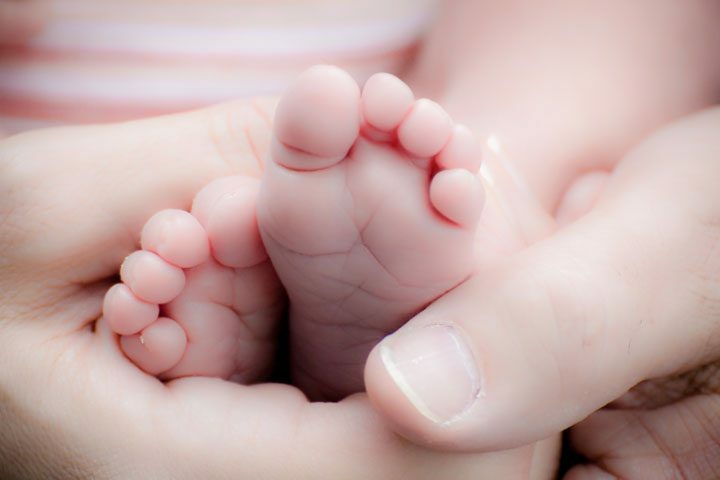 Here were the practical tips I followed that significantly reduced the expenses I had in the first year of my baby son’s life. 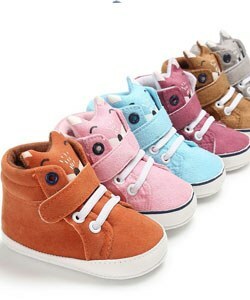 The list of things that are truly baby necessities is much shorter than you think. Check out our post on what should and shouldn’t make the list, and see budget friendly options for the most important baby gear. We even made a convenient checklist of these baby essentials for you. Click on the button below to sign up for our one-page printable. WANT A FREE LIST OF BABY ESSENTIALS? As adorable as a nursery may sound, you can get way more out of both your house and your baby budget by forgoing it. We kept our son in the same room as us, which proved to be super convenient during those feedings at odd hours of the night. Convenience + savings = winning combo. That’s why we love subscription services, which reward you with a discount for setting up a recurring order. 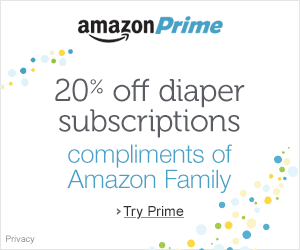 If you have Amazon Prime (free to try for 30 days if you don’t), you can sign up for Amazon Family for free, where you can set up a diaper subscription to get 20% off your diaper orders. Instead of buying stuff as you think of needing it, save up your major shopping for special promotions and typical price slashing periods, like holiday sales. One of our favorite money-saving tactics is to save up for Target’s $X for $X promotions, when you get free gift cards for spending a minimum amount. Instead of buying diapers one pack at a time, I wait for these promotions to stock up and then use the gift card on future diaper purchases. It’s like we’re getting free diapers. Things that can “grow” with the baby are excellent investments. Convertible cribs and car seats are much cheaper overall, since you can stick with just one as your child ages rather than buying separate items as they get older. Whether they’re manufacturer’s coupons or online discount codes, take advantage of any opportunity to spend less on things that you were going to buy anyway. 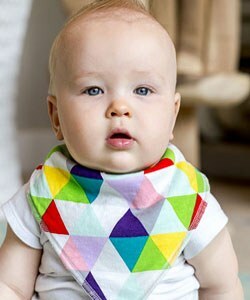 Just remember to enter code CHANGREADERDISCOUNT at checkout to get your free baby items. Cool toy with 50 different functions catch your eye? Chances are, your baby won’t have the attention span to play with it in the intended manner and it will just end up in their mouth. Seriously, everything is so brand new to your child that they can stay amused by the simplest pleasures. Soak this up while you can because it’s surprisingly sweet to see how excited they are by pieces of paper or toilet paper rolls. 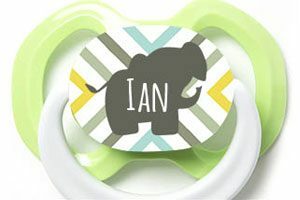 Baby registries are just straight up awesome. 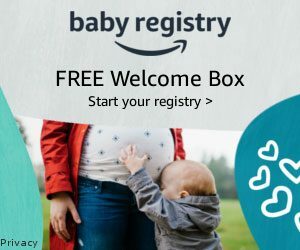 In fact, I highly recommend that you sign up for multiple registries to reap the benefits from all the retailers who are happy to offer perks galore to soon-to-be mothers. My top two favorite registries are this one and this one. Products that have the word “baby” on it are automatically marked up, so find ways to use general household items to fulfill your needs. 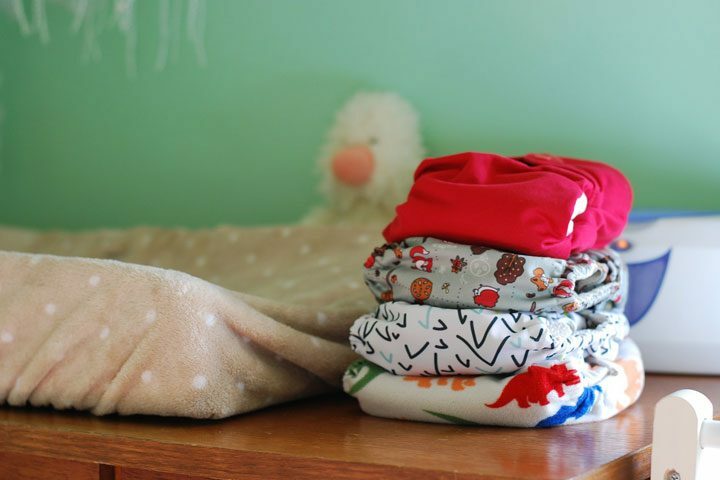 For example, we used regular old shirts as bibs, and a bath towel as our changing pad. 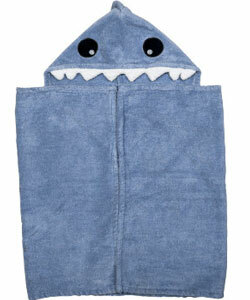 Cloth diapers are not as bad as you think, and can help you save a nice chunk of change. We didn’t mind washing the diapers, since we soaked the soiled diapers in a bucket of water with soap or baking soda before we threw it in the laundry. Add some vinegar to your load, and it really isn’t that stinky at all to do the whole cloth diapering thing. Your little one is not as fragile as you think, so you probably don’t need to separate laundry and use super special (i.e., expensive) baby detergent. If you’re really concerned, test an article of baby clothing with your regular wash and see if your baby’s skin is sensitive to your detergent. If not, then go ahead and combine all the laundry into one load. Saves you so much time and energy, trust us. For starters, better health usually leads to better chances of conceiving so there’s the potential to save money if you don’t need fertility-related interventions like IVF. Getting into shape also helps reduce the chances of complications for the mothers, which means a more manageable hospital bill. Try to exercise as regularly as you can, especially at the start of your pregnancy. Speaking from personal experience, it’s gets harder to stay motivated to keep up with fitness when it starts to feel like you’re carrying a permanent kettleball in your tummy during those last months. Significant others, there’s no reason you shouldn’t be joining in the exercise too. It’ll be so much more bearable for both of you if you follow the restrictive diet and activities together. You’d be surprised who has old clothes that they no longer need and are willing to pass on you. Take them all. Or how many people want to buy stuff for your baby just because BABY. We had coworkers of coworkers who were giving us stuff because they simply wanted to shower another cute human being with cute stuff. Fine by us! As your tummy gets rounder through the months, you might be tempted to go out and buy a new wardrobe. 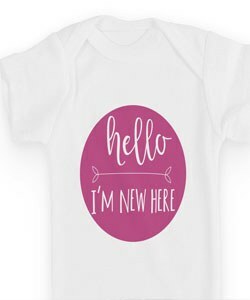 Instead of doing that, consider the many other smart ways to get cute, inexpensive maternity clothes without spending a fortune, including hacks to use your current clothes longer or strategically buying pieces that you can use beyond maternity. Research your health insurance options to compare which plan would be the most economical for you. Make sure you take into account the amount of the premium deducted from your paycheck as well as any deductibles and out-of-pocket costs when calculating the overall costs of each plan. Health savings accounts or flex spending accounts allow you to put money into a separate account specifically for the purpose of paying health-related costs without that money getting taxed, meaning you save big on taxes. This was definitely a mistake I wish I didn’t make. I was one day too late to enroll in the flex spending program through my employer, so I ultimately lost out on $500 of savings on my hospital birth bill. Babies grow so fast that there are some things where it makes far more sense to go with secondhand options. They won’t fit in a few months, so go with hand-me-downs, thrift shops, or online sites like Craigslist or Facebook Marketplace whenever possible. For safety reasons, there are some items where it is wiser to buy brand new, such as car seats or strollers. If you buy used, you might miss out on important recall notices or not qualify for recall-related replacements. If you’re lucky, you might be able to score free stuff from Craigslist and Facebook Marketplace by filtering through their free listings. I’ve seen clothes, feeding supplies, and old baby gear. If you are okay with getting the big-ticket items secondhand, just be careful about recall information to ensure the safety of your baby. When it came to diapers, we went with Target’s Up and Up brand. Not only did they do their job, they were at a fraction of the cost of the other name brands. Similar to the note above, investing in quality for higher ticket items that you’ll be using often is totally worth it. One example is an ergonomic baby carrier. 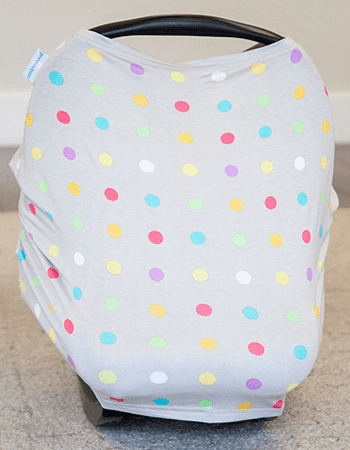 If you plan to babywear, keeping baby physically close to connect with you, go for a carrier that is comfortable for you to carry your baby in so that the experience is enjoyable for both of you. If you’re easily swayed to spend or find yourself unduly influenced by pregnancy hormones (so, every mother), bring another level-headed person with you who can make a better judgment call to keep your spending in check. But make sure that person isn’t soon-to-be grandma. They tend to express their love for their grandchild with stuff, stuff, and more stuff. If you’re like me and don’t care about having the latest and greatest, help stores clear out their inventory by snagging stuff from the clearance aisle at a greatly reduced price. You can probably haggle for an even lower price. Stores that really want to get rid of stuff are prone to say yes if you ask for an added discount. Your chances are higher if you can find a blemish or scratch to justify the lower price. Figured out that you didn’t need that thing you put on your registry after all? Think about trading it with another mother in need to see if she might have something that you could use. Another similar option is to refund or exchange the item. Breastfeeding can be a great money saver, especially if you nurse directly versus pumping. That way, you don’t need to worry about all the extra supplies needed like a breast pump, bags to carry the milk, ice packs to prevent the milk from spoiling, and so forth. Even if you do choose to pump, you’ll at least save the money that would have otherwise been spent on formula. Sometimes formula is what works best for you and your baby, despite any other intentions you might have had to give breastmilk. I originally wanted to breastfeed exclusively, but my milk supply was too low so I had to supplement with formula. I was so glad that I had signed up for the Similac and Enfamil’s rewards programs just in case, because I ended up getting tons of free samples of formula during those first months when I truly needed it. Plus, these companies sent so many coupons that I was always able to get $5 off every time I had to buy formula. When your little one graduates to solids, DIY the food instead of buying it premade. All it takes is a nifty thing like this to mash up food. Keep things convenient by blending foods you prepared for our own meal, as opposed to making something separate for your kid. Daycare can easily run thousands of dollars a year, so it’s crucial to hammer out the details now so you can either prepare for the costs or find alternatives to reduce this expense. Our affordable daycare article has more information on how to plan for childcare to fit within your budget. When you’re done using baby items, save it for a future kid or pass it along to another expecting mother if you don’t plan to have any more kids. If you don’t know anyone who’s expecting, then consider donating the baby stuff you’re no longer using and getting a tax write-off for your charitable donation. There are certain items that donation centers cannot accept for safety reasons, like car seats or high chairs. Try your best to see if you can pass these items along to anyone one at all before deciding to trash them.. Recoup some of your cost, break even, or better yet, make a profit. In addition to Craigslist and Facebook, try buying and selling apps like Decluttr or Letgo. Blogs and Youtube are excellent resources for navigating parenthood. Most content is free, but even paid online courses by bloggers might be cheaper than the traditional classes that are out there. For example, my healthcare provider charged $100 for prenatal classes. But this course, created by a registered labor and delivery nurse, was way less. This other course on breastfeeding really helped me with the struggles I was still having after my insurance stopped providing me with lactation services. Especially during the first month, having others help you out can really save you money (and your sanity). 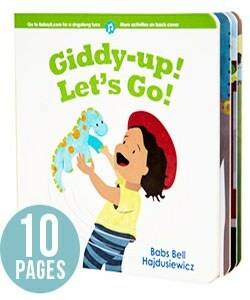 This help can be in the form of babysitting, bringing you food, or helping with other chores & errands. Making friends with other mothers is not just good for your mental and social well-being, it can also be cost-effective. Getting creative can help you save money for a baby. 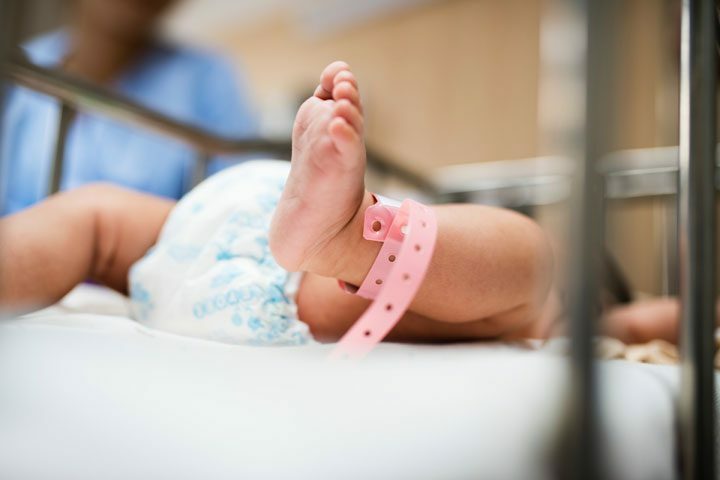 Use these tips to save for your baby in terms of both dollars and time, both of which are better spent on your new bundle of joy. How Much Do Babies Cost?